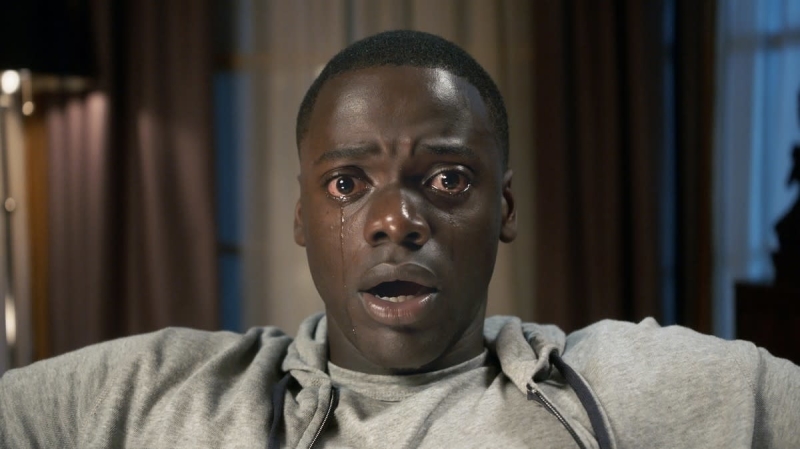 Earlier Wednesday (Nov. 15) news broke that Jordan Peele's Get Out will be competing for nominations at the Golden Globes under the comedy/musical categories. As reported by Entertainment Weekly, the horror-satire will compete in the joint category, with sources close to the awards confirming that the film's production company, Blumhouse, has entered it as such strategically. The decision was likely made in hopes the film will maximize its chance of a nomination and recognition. However, despite the strategy behind the move, the choice has Twitter up in arms, with many sounding off that it is both baffling and potentially harmful, given the film's socially impactful commentary and cultural mission. After receiving the news, Peele himself took to Twitter, writing in a now-viral post, "'Get Out' is a documentary." Others, however, reacted to the news with outrage, explaining the implications behind the decision to have the film compete as a comedy. "Miscategorizing Get Out as a comedy is a sorry attempt to deflate its impact as both a formative horror genre film and exacting critique of white supremacy," one user wrote. Others supported the decision, saying that because it is a social satire, the comedy category is fitting. The official nominations will be announced next month, on Monday, Dec. 11. Take a look at how people are reacting to Get Out being categorized as a comedy in the tweets below. You understand the only way whiteness can process Get Out is to make light of it and pretend it was in jest. To award the film for being anything other than comedy would be to self-analyze and admit to the accuracy of it all.